From past 7+ years Bhupesh is working in software test automation area. In his entire career Bhupesh's tasks mostly involved in Test Automation framework creation, Infrastructure automation and Application Monitoring Tool creation. 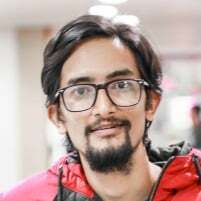 In one of his task Bhupesh has created a client side monitoring tool which involves to monitor uptime of the production web application in the end user point of view.Technology used in this tool are Selenium Webdriver, Java Spring, AngujarJS , MongoDB, Redis.